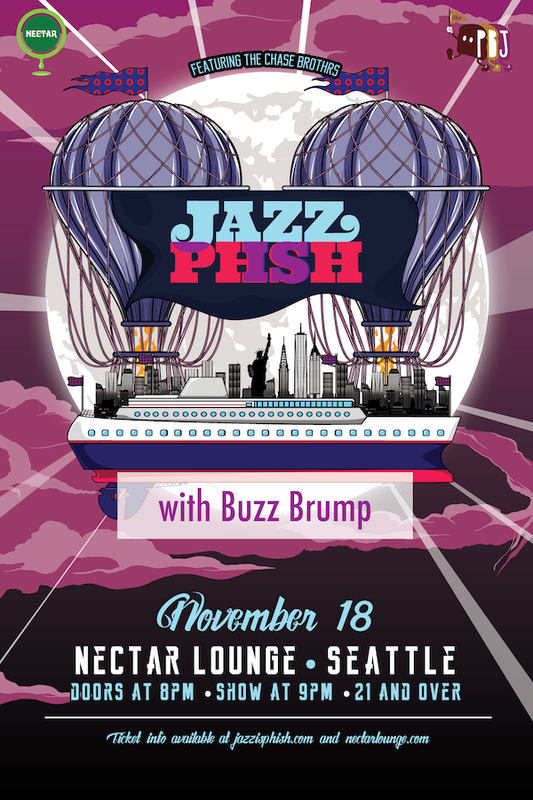 This Saturday, November 18th we will be playing our 100th show at Nectar Lounge with Jazz is Phish, as part of our NW Summit Run – 2018 Edition. It is only fitting that we are able to do this at Nectar, the club where we have performed 20% of our shows, and the one that continues to be overly supportive of us. From an intimately small crowd on a random Tuesday back in November of 2010, to fundraising events for The NW Friends of the Weather and Avalanche Center and Washington Climber’s Coalition, to special events like the Summer Meltdown Warm-Up and Meltdown Showdown, to co-billing with a variety of international, national and local acts, we have been very fortunate that Nectar has provided us a platform to create so many memories for us and our fans. We can’t say enough about the venue and crew at Nectar. From management, to bookers, sound engineers, bartenders, security, etc, they have been nothing short of professional, kind, flexible and enthusiastic at all times. In addition, it seems like every time we go in there they have enhanced the atmosphere in new and interesting ways. From the upstairs mezzanine renovation, to covering the expansive outdoor patio, to overhauling their lighting and sound systems, we take pride in being able to have actively shared in their journey along the way. It cannot be understated how much they have, and continue to shape the live music dynamic and scene throughout Seattle and the entire Northwest as a whole. The diversity in which they employ their line-ups is nothing short of impressive. From hip-hop, blues, rock, reggae, bluegrass and electronica, etc., to their theme nights (some of which include 30+ artists performing on a single night), they have become the go to place for fans of all music types. With the breadth of different music acts and genres they are constantly procuring, it would be easy to have a cluttered marketing message. However, their approach to organizing the overall experience, all the while being inclusive of a whole range of crowd types, is fine tuned and calculated. This is most evident with how they have crafted their newsletter, which is super refreshing in an age of communications chaos. You really should take a moment and subscribe to the Nectar Lounge Newsletter. In an era where it is becoming increasingly difficult to keep a band together, especially one with 7 members, we are extremely fortunate for the bonds that keep us going. As friends and music lovers first, everything else has become secondary, which continues to be an important attribute. We started out with the goal of seeing if we could get Seattle to dance, which was a long running joke in local music circles. Thanks to our fans in the mountains and city who routinely show up and electrify the dance floor, we have converted at least a few. Beyond being able to play regularly at some of our favorite places on earth, like the Nectar Lounge, Stevens Pass, München Haus, Crystal Mountain, Tractor Tavern and the High Dive, we have seen some great progress as a band within the past year. From playing at the Summer Meltdown this past Summer, to playing at Century Link Field for a Seahawks vs. Falcons Monday Night Football pregame show (our 101st show on 11/20! ), we are eternally grateful for all of you in making it possible for us to do what we love! Our 100th show will be special, not only because of our history with the Nectar Lounge, but because we are also playing with Jazz Is Phish, a band that was built specifically on a shared passion for a band that is near and dear to our hearts. Phish was the band that introduced many of us to what live music was capable of many years ago. We were able to cut our show and festival teeth at places like the first Halloween Phish show at the Glens Falls Civic Center (NY) when they played the Beatles’ White Album in its entirety, during Summer weekends at the Clifford Ball (NY) and Lemon Wheel (ME) festivals, in frigid and snowy Lake Placid and Albany (NY), at the Mann Music Center in Philly and Tweeter Center (NJ), as well as here in Washington at the Key Arena and the Gorge Amphitheatre. Jazz Is Phish, formed by the Chase Brothers, have been well known members of the greater music community for many years. Collectively, Adam Chase and Matthew Chase have performed and collaborated with a variety of world renowned artists and are the center of tribute bands such as JAZZ IS PHSH and The James Brown Dance Party. Read their HuffPost interview. 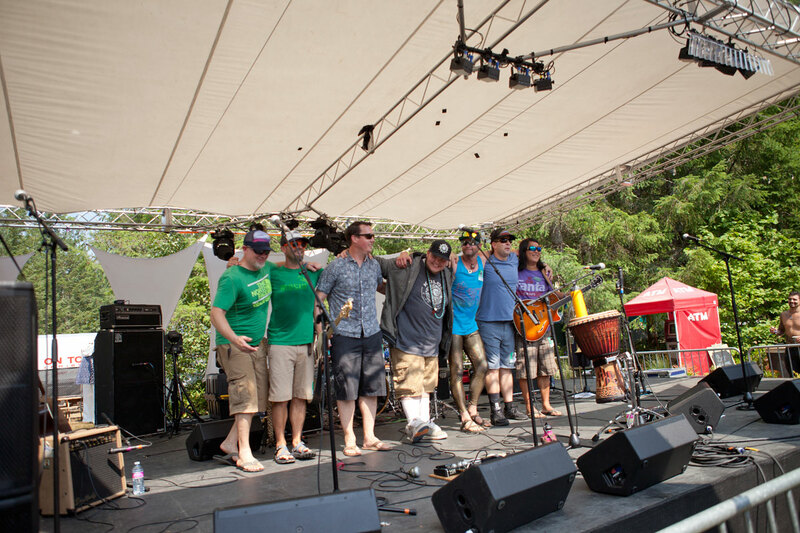 Adam and Matthew have recorded, collaborated and/or performed with Santana, Aerosmith, Kiss, Crosby Stills and Nash, Derek Trucks, Dicky Betts, Victor Wooten, Oteil Burbridge, Kofi Burbridge as well as members of The James Brown Band, Bootsy Collins Band, Galactic, Lettuce, Trey Anastasio Band, Snarky Puppy, Trombone Shorty, Break Science, Pretty Lights Live Band, Aretha Franklin Band, Saturday Day Night Live Band, Cage The Elephant, The Word, Aquarium Rescue Unit, Jazz is Dead and many more.